A new banking Trojan being promoted in underground forums as an alternative to the popular and widely used Zeus Trojan has the potential to become a pervasive threat, experts have said. Called Pandemiya, the new Trojan is similar to Zeus in that it allows cyber-criminals to steal form data, login credentials, and files from infected computers, according to RSA’s Fraud Action team. Much like Zeus, Pandemiya also has a modular design, making it quite easy for cyber-criminals to expand and add functionality, Uri Fleyder, cybercrime research lab manager at the RSA Research Group, told SecurityWeek. Pandemiya has all the capabilities that are typical among banking Trojans, such as injecting fake elements into websites, capturing screenshots of the user's computer screen, and encrypting its communications with the control panel. What sets Pandemiya apart from all other banking Trojans is the fact that it has been written from scratch without sharing any source code with Zeus, Fleyder said. This is unusual, as many banking Trojans such as Citadel/Ice IX and Carberp are based on Zeus's source code. Pandemiya doesn't appear to have any code in common with leaked versions of Zeus or other toolkits, Fleyder said. The developer behind Pandemiya—or a team of developers—spent "close to a year" developing this latest threat, which has more than 25,000 lines of original C code, according to a RSA Fraud Action blog post on Tuesday. 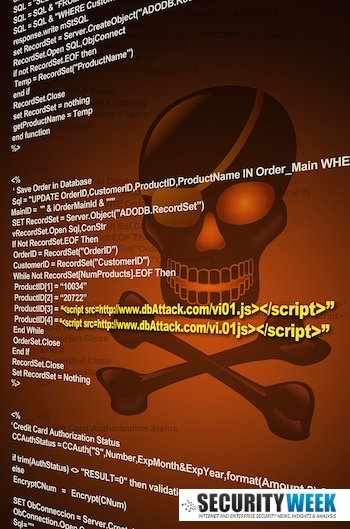 As is typical with commercial Trojans, the botmaster controls how to infect victim computers and install the malware, such as using a wholly different exploit pack to trigger a drive-by download attack, according to the RSA Fraud Action team. Fleyder and his team came across Pandemiya as part of its monitoring of underground forums and marketplace, he said. Pandemiya's core application includes website injects and grabbers for three leading Internet browsers, a loader with unique tasks and statistics, and the ability to sign files to prevent other criminals and security experts from hijacking or analyzing them. The plugins include a reverse proxy, a way to hook into Facebook, and an FTP stealer. Because of Pandemiya's modular architecture, it is expected that new features will be added over time. Pandemiya is currently available at prices ranging from $1,500 for the core application to $2,000 for the core application and additional plugins. This places Pandemiya solidly in the expensive category, considering that Zeus is available for mere hundreds of dollars, Fleyder said. The higher price tag would likely limit Pandemiya's spread and popularity as criminals will be deterred from paying so much for what is fairly standard set of capabilities, he said. "Only time will tell if its popularity rises," the blog post said. Considering the buyer can easily launch multiple attacks and campaigns with a single purchase of Pandemiya, the price doesn't seem so outrageous after all. And the modular design means the team can easily expand the current set of features with more exotic and advanced plugins. In its current form, Pandemiya will never be as widespread as Zeus, but it has the potential to grow, Fleyder said.